St Francis of Assisi is a Saint well known for many reasons, most of all for his love for poverty and ecology. He is also the patron saint of Ecology. We are the ardent followers of such a great saint. We are known as the friars of the Order of Frairs Minor, Capuchins (OFM,cap). We are an international fraternity of men who follow the gospel of Jesus Christ according to the rule of life written by St. Francis of Assisi. 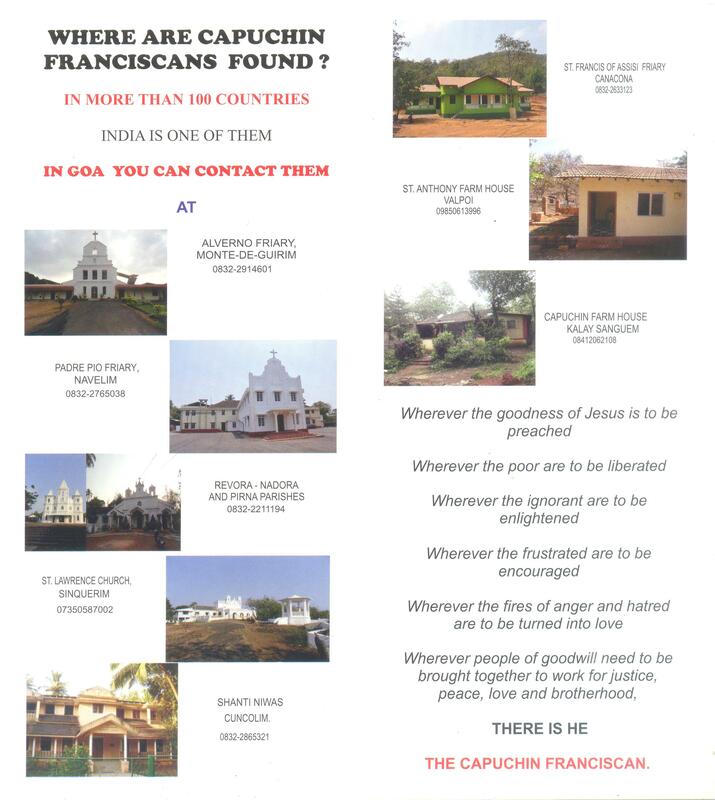 We call ourselves friars (frater = brother) and are present in about 98 countries with a strength of over 12000 friars. It was in 1947 that the Capuchins pitched their tent in Goa in Monte-de-Guirim as educators by opening up a school, namely St. Anthony High School and slowly over the years we have spread in parts of Goa. Today we are present in Navelim, Cuncolim, Canancona, Revora, Sinquerim, Valpoi, Sanguem and of course Monte-de-Guirim, which is our Provinciate (headquarters for Goan Capuchins). We are also rendering our pastoral services in other parts of the world like Australia, Mexico and the Gulf. In the near future we are scheduled to expand our presence in Betalbatim, Neturlim and elsewhere. For all our mission work we need more hands to work in the vineyard of the Lord. 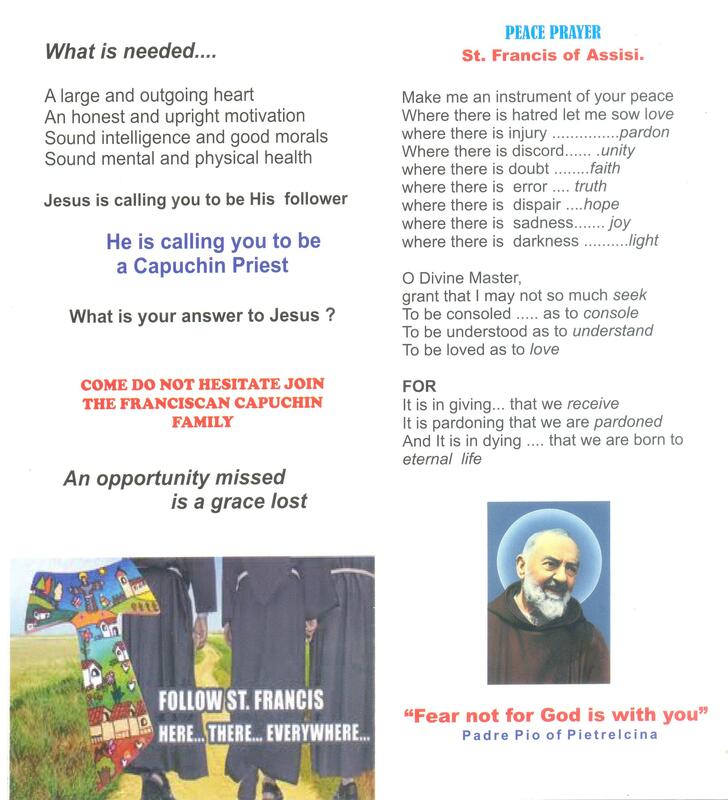 Dear friends would you like to a part of the great mission of Jesus Christ by becoming a Franciscan Capuchin? Wouldn’t you like to share in our life? 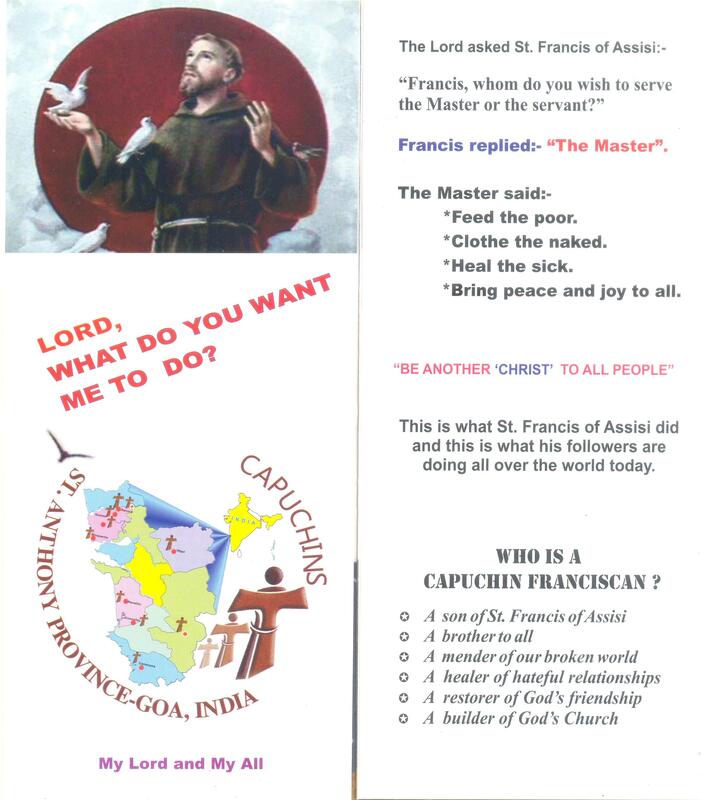 Jesus is calling you today to become a Franciscan Capuchin, what is your response?